Tucker Brookshire is a North Carolina native but you would never guess it. 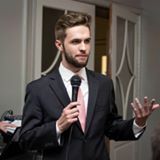 Since moving in 2016 he has chiseled away a dedicated following in the Chicago comedy circuit. He blends a carnival-like delivery with clueless likability to trick audiences into letting him talk loudly into microphones across the country. Tucker is the host of a popular web series called “Untucked” and he dresses very well for a guy in his tax bracket. Running Amok hails from Virginia Commonwealth University in Richmond, VA that performs an epic La Rhonde that explores characters and the world to which they live in! We perform monthly at VCU and all throughout the community of Richmond! We might be a new team, but we guarantee joy and fun and great energy onstage and offstage! 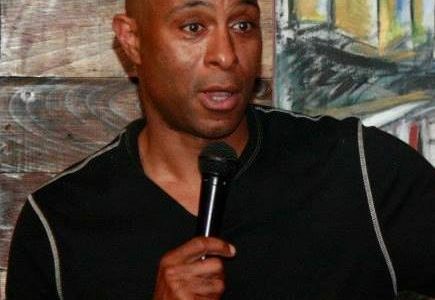 ordan Centry is a regular performer at The Comedy Zone in Charlotte and has hosted multiple comedy shows, such as Comedy Night at 26 Acres Brewing and The Open Mic at The Comedy Zone. Jordan was a part of the 2018 Queen City Comedy Experience in Charlotte, performing in multiple shows. Some of his accolades include winning “Comic’s Comic” in the 2018 Comedy Battle Championship at The Comedy Zone in Charlotte and being a semifinalist in The Ultimate Comic Challenge at The Idiot Box in Greensboro.